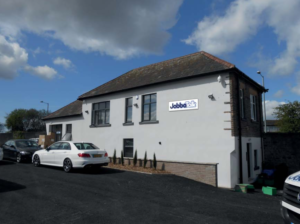 JabbaTalk Ltd is a leading Telematics and Telecommunication Service Provider (SP) to B2B, SME’s and Corporate UK markets. We are still a relatively young company, however our Directors have been working in the telecoms industry since the mid to late 1980’s. Previously, we used to submit our business to large Telecom companies in return for commissions, however, we became increasingly frustrated with industry changes and poor customer service provided to our customers. Consequently, we decided we could better serve our customers by becoming our own “Business Telecoms Service Provider”. The communications industry is fiercely competitive which has led to many operators purporting to offer business grade services together with “Industry Leading” headline rates, however there are many “Hidden” costs behind these rates and generally you’re asked to sign a long contract. We believe in keeping our customers for longer by providing a transparent, “Honest, Effective Communication” service, that’s now become our company moto! We were founded in Jan 2010. Our Head Office’s are based in Carnforth, Lancashire just off Jct. 35 of the M6. We provide Vehicle Telematic Solutions and Telecoms to businesses covering the whole of the UK. We manage thousands of Vehicle Trackers in the UK & Ireland – In fact our customers vehicles travel all over the world! We deal with businesses of all different sizes, from large corporate bodies to one-man-bands. Our clients operate in the Private, Public, and Voluntary Sectors. We pride ourselves on providing our customers with the best services available at the best prices. We can provide your Business Landlines, Calls, Mobiles, Broadband & Vehicle Tracking all on “One Bill”. Everything we do is managed in-house; this gives us the ability to be flexible and gives you a service which meets your exacting requirements. Our approach to business communications has always been very different from our competitors. We care and want to work with, retain and help grow your business for a long time. We get it right first time by listening and providing what our customers require, rather than selling them something that makes us a lots of money! Our flexibility and versatility as an independent supplier of all the UK mobile phone/landline networks has enabled us to provide tailored packages to suit your individual company requirements. We work closely with each company to understand your industry and business to build a strong and long-term working relationship with you. Please do not hesitate to contact us for further information on our full range of products and services or to arrange an appointment to enable us to provide you with a no obligation, free of charge, audit of your existing Vehicle Tracking Solutions, Broadband, Landline and Mobile Telephone bills. Andrew started his life in the Telecom industry in 1994 working for ACC Telecom investigating network faults, he then moved into “International Wholesale” trading with large Telcos around the globe. After having a family and relocating to the North West, Andrew moved into Business Development and Account Management within the Dealer Channel in the North West Region for Redstone PLC, now Daisy. Steven has worked in the Mobile Phone industry since it’s conception in the late 80’s, over the past 29 years he’s also worked independently with all of the UK Mobile Phone Networks and his experience is extensive. Steven has worked within the SME/Corporate market-place for most of that time supplying a wide variety of businesses with solutions to their Business Landlines, Mobile Telecoms and Vehicle Tracking/Fleet Management requirements.